Cobb Travel & Tourism’s Annual Meeting & Mixer is a time to celebrate the hospitality and tourism community, which is made up of outstanding people and companies who work both independently and collectively to serve our industry. 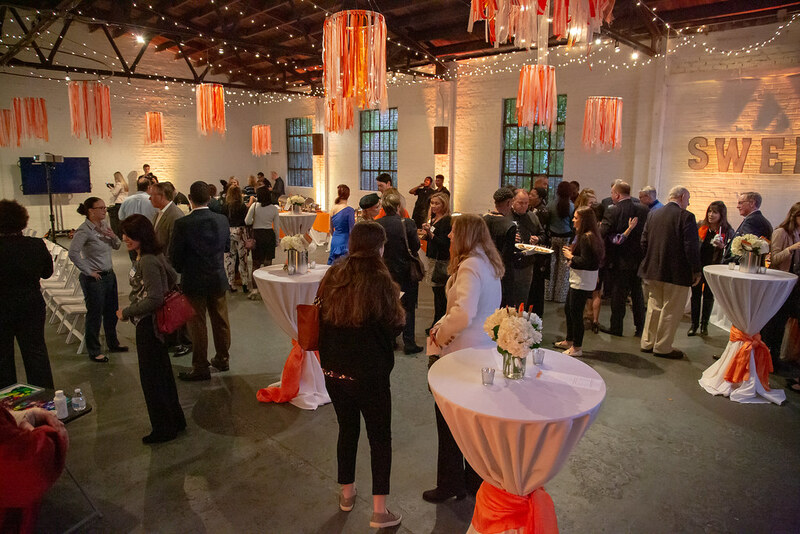 Each year, guests enjoy food, great giveaways, drinks, and networking in a fun atmosphere as we celebrate the successes of the year and look forward to what the future holds. Thank you to everyone who attended the 26th Annual Meeting & Mixer – the event was a sweet success! We presented the Cobb Travel & Tourism Spot-On Awards, elected a new Board of Directors for 2019, and revealed Cobb’s newest arts initiative, Cobb Arts VIBE. We look forward to seeing everyone again in 2019. We would like to extend a sweet thanks to our sponsors: Atlanta Lyric Theatre, CBRE Hotels’ Americas Research, Georgia Power, Georgia Symphony Orchestra, Mauldin & Jenkins, Parker Poe Adams & Bernstein, LLP, Regions Banks, and Town Center Community Improvement District.